Lock in a great price for InterContinental Amstel Amsterdam – rated 8.9 by recent guests! Room size was amazing. Bed was super comfortable. Breakfast included was delicious. Everyone was so nice. Super quiet didn't hear a thing in the hallways although there were many guests. Unbelievable view. Perfect location. The bed was like sleeping in a cloud !! The experience was beyond words it was exactly what my husband and i needed relaxing and comfort in a magnificent city ! Beautiful old hotel. Great service and great food. Excellent and beautiful location. Breakfast buffet on the Asmtel River each morning was wonderful. The room was spacious the best I would say available in Amsterdam. The service was great the staff had a smiling face always and were very cooperative. Room layout of the room made it seem bigger than it is along with the bathroom which was very nice. Quiet. Nice atmopshere. Good food and excellent staff. Luxurious hotel with top restaurants. We really enjoyed our meals in La Rive and the Brasserie. Our room was spacious but had only one comfortable chair. Room enough for a 2nd lounge chair and a small table. Bathroom was good with the toilet separated from the BR. We wish more hotels would do that. InterContinental Amstel Amsterdam This rating is a reflection of how the property compares to the industry standard when it comes to price, facilities and services available. It's based on a self-evaluation by the property. Use this rating to help choose your stay! The concierges will give guests a warm welcome from the antique reception desk. At the health club, guests can relax in the spa bath, steam bath and sauna facilities. For a workout, the on-site fitness center offers cardio equipment, weights and personal trainers. La Rive serves culinary French and Mediterranean cuisine. The Amstel Brasserie is suitable for an informal lunch or dinner. You can relax in the Amstel Lounge with a glass of wine or a cup of tea; the Royal Afternoon Tea is served here daily. In the A bar you can enjoy authentic Amsterdam flavors. 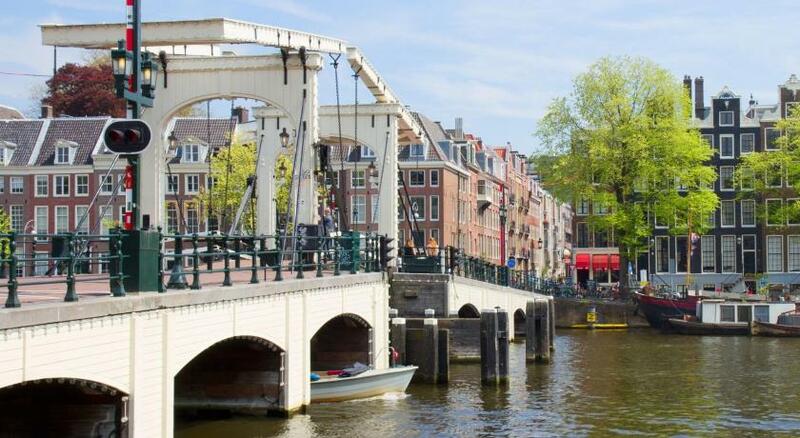 Each restaurant has a view on the Amstel River and historic Amsterdam. 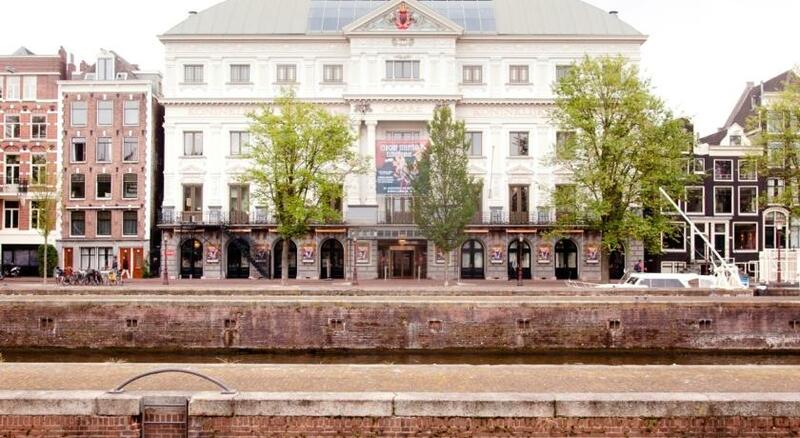 Royal Theater Carré is a 5-minute walk away, while the Van Gogh Museum is at 1.2 mi distance. Dam Square and the Royal Palace are a 10-minute tram ride away. Schiphol Airport is at 12 mi and accessible in 25 minutes by taxi and 15 minutes by train. 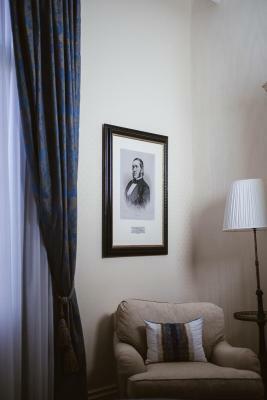 When would you like to stay at InterContinental Amstel Amsterdam? 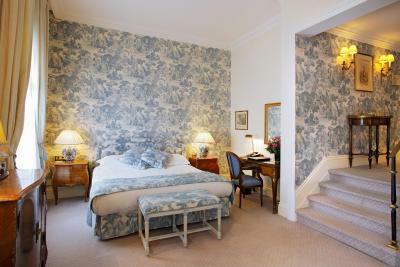 This spacious suite features French-style design, a sitting area, tea/coffee making facilities and a private bar. This spacious suite features classic French-style design, a sitting area, coffee and tea making facilities and a private bar overlooking the scenic River Amstel. This spacious suite features classic French-style design, a sitting area, coffee and tea making facilities and a private bar. 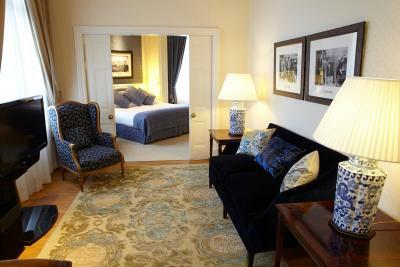 Classic French design-style room which includes in-house movies and a private bar with a scenic view of the Amstel River. This twin/double room features a CD player, mini-bar and flat-screen TV. 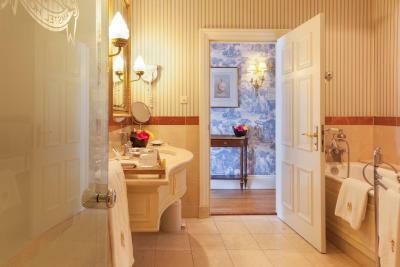 House Rules InterContinental Amstel Amsterdam takes special requests – add in the next step! InterContinental Amstel Amsterdam accepts these cards and reserves the right to temporarily hold an amount prior to arrival. Please note: Smoking is only allowed on the terrace of the hotel. At an extra charge there is a Mercedes limousine service available to and from Schiphol Airport. If you wish to make use of this service, please make a note in the comments box on your on-line reservation form. Although entrance to the on-site health club is free of charge for guests, professional masseuses are available at an extra charge. Please be informed that the hotel currently restores some features on the roof and facade. The majority of the rooms, all our restaurants, meeting & event venues and facilities remain open. I asked for a late check and the gentlemen at the reception without checking just told me that that wasn’t going to work for them. Even after indicating that I was only asking for an additional hour he simply said, no we have a whole team of people coming in at 12 to clean, so that is not possible. Incredible! restaurant was closed due to holidays…. We found the room too hot and shut down the heating and opened the windows for cool air during our entire stay. Our room should have had a second comfortable chair and coffee table. It's not cheap. But it is amazing. Super professional staff who made us feel special from the moment we arrived to when we left. The breakfast setting is so wonderful. I only wish we could afford to stay there more often! Wonderful historical building with atmosphere and style. My room was really big and comfortable overlooking the river. If you can I strongly recommend you to choose river view. It really worth it! The view is fantastic. The hotel also has some very nice restaurants with terrace also overlooking the river. And health club with the pool (normal size pool where you can actually swim). Breakfast is good and the stuff is very fast and efficient.